Welcome to possibly the most entertaining small Circus in the UK. With a FREE service to schools. The dream come true for a couple who became involved in touring circus way back in 2001. It started with a chance visit to a fantastic circus in their local town. Such was Martin and Lynette's love and dedication of everything that is circus they were offered a job with the same show soon after. Putting together several acts and becoming completely involved in all aspects including the management side gave Martin the knowledge and drive to set up his own show. Now in it's twelfth successful year, Circus Ferrel is and always has been, an all human show and although underpinned by centuries old British Circus traditions it incorporates plenty of modern thinking which enhances the entertainment and often unusual and rarely seen acts. 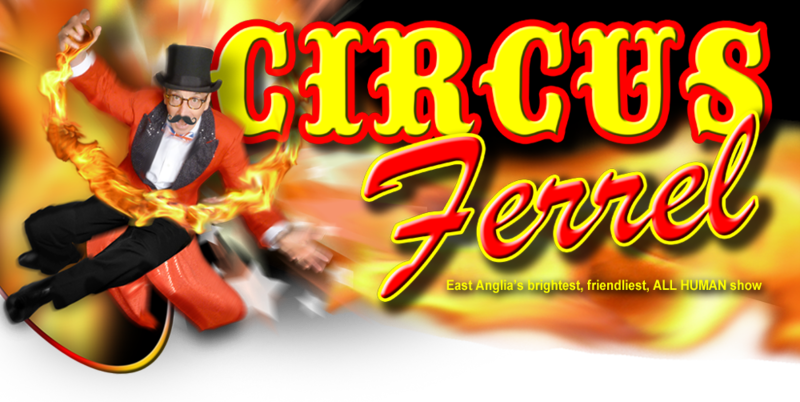 Circus Ferrel is based in South Norfolk and is available for events in Norfolk, Suffolk, North Essex and East Cambridgeshire.